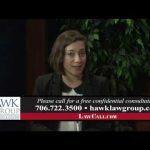 The Hawk Law Group is composed of attorneys with significant training in litigation and trial experience. 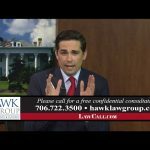 Attorney Vic Hawk achieved the highest personal injury verdict in the history of Jenkins County – over $1 million – and he has obtained numerous verdicts and settlements in amounts over $500,000. Whether you have been injured in a car, truck or motorcycle accident, construction accident, a slip and fall, or you have lost a loved one and need help with a wrongful death lawsuit, our team is well prepared to assist you. Do you have legal questions? Get answers! 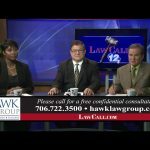 Every Sunday at 11:35 p.m., area attorneys join hosts Neil Gordon and Augusta personal injury attorneys Vic Hawk,Reid Sanders and Melissa Detchemendy to answer callers’ legal questions on specific topics. Get In Touch! To call during the show, dial (803) 442-4551. You can email your questions using the form to the right. One of our attorneys will write you back or possibly answer it live on the air! HAVE A QUESTION FOR OUR ATTORNEYS? You can talk to us for free! Note: submitting your question does not constitute a client-attorney relationship. We are not your lawyers unless you meet with us in person and we both agree. States across the country are cracking down on distracted driving. Just last week, Alabama cleared another hurdle towards passing a law that would criminalize driving while holding a cell phone. Should Courts Get a Second Bite at the Apple? *Contingent attorneys’ fees refers only to those fees charged by attorneys for their legal services. Such fees are not permitted in all types of cases. Court costs and other additional expenses of legal action usually must be paid by client. Our founding attorney, Vic Hawk, was born and raised in Augusta and has practiced law in his hometown for more than 30 years. Vic is widely recognized throughout the Central Savannah River Area (CSRA). 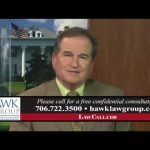 In addition to his dynamic personal injury practice, The Hawk Law Group is composed of attorneys with significant training in litigation and trial experience. 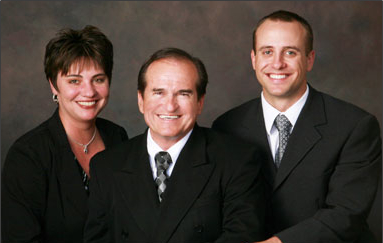 Whether you have been injured in a car, truck or motorcycle accident, construction accident, a slip and fall, or you have lost a loved one and need help with a wrongful death lawsuit, our team is well prepared to assist you. Additionally, we have experience in several niche areas of personal injury law, including laser hair removal injuries, nursing home negligence and injuries caused by falls from above-ground pool ladders.